The vision care team who will supervise each step of the process both before and after surgery. We use FDA approved technology with a professional team that specializes in LASIK vision correction. We provide full after care with the help of our team. Travers Lasik ensures the best possible experience and follow up. Travers Lasik Vision Care is a specialty clinic that performs LASIK vision correction. As medical director and chief surgeon, Dr. Lori Travers is a Board-certified Ophthalmologist and Lasik Specialist who has helped thousands of Triangle residents to improve their eyesight. Travers Lasik is considered second to none for Lasik procedures throughout North Carolina. Travers Lasik Vision Care understands that each patient must feel fully comfortable with their decision to have the treatment, as well as with the vision care team who will supervise each step of the process. That’s why Travers Lasik Vision Care combines proven state-of-the-art FDA-approved technology with a professional team that specializes in LASIK vision correction. The #1 LASIK Surgeon in Raleigh, North Carolina! As the most experienced Lasik surgeon in the Triangle with more than 40,000 procedures performed and over 15 years of experience performing laser eye surgery, everyone benefits from Dr. Travers’ acclaimed expertise and personalized care. She works with each patient on an individual basis to make sure every question is answered and the utmost level of comfort is reached. Travers Lasik Vision Care is a speciality clinic that performs LASIK vision correction. Financing options are made available along with competitive pricing. Lasik is always worth it. Before Lasik is performed, it’s important to understand what causes irregularities in your vision. Dr. Travers is the only ophthalmologist in the Raleigh area who maintains one office and one specialty: LASIK. She keeps a sharp focus on Lasik surgery. It is the only procedure she does ‘week-in, week-out’. She also uses only All-Laser-Lasik, the most advanced blade-free technology available. So you’ve either made the decision to correct your vision with Lasik eye surgery or you are wondering, “Is LASIK right for me?” For those considering LASIK, just ask the millions of LASIK patients who now have the best vision of their lives. Now, you might be ready to choose a doctor. This should be a doctor who not only has extensive experience and proven LASIK skill, but one whom you trust because many other people have had positive experiences. In the Triangle, that doctor is Dr. Lori Travers. Travers Lasik Vision Care utilizes only the latest state-of-the-art technology, including Custom Wavefront and bladeless, All-Laser Z-Lasik. Currently, the US Armed Forces has approved All-Laser Lasik technologies for use on all pilots and service men and women. This decision was made following an extensive military review of clinical data that shows the combination of a femtosecond laser and a custom wavefront guided laser provides an ultimately safe procedure for superior vision. $1000 Savings for All Laser Lasik!!! We’ve created a calculator to help you understand the costs associated with LASIK. The procedure itself varies, depending upon your condition, but this calculator helps with planning! 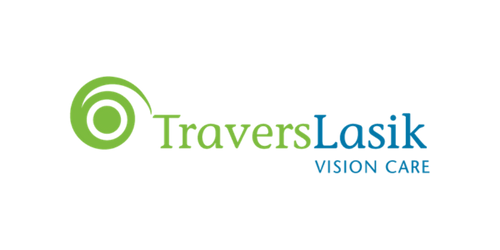 Travers Lasik Vision Care is Ready to Answer Your Questions. Call Today! What a great experience. The staff at Travers LASIK was very kind and helpful. They answered all my questions during the consultation. The procedure was a breeze. 5 minutes per eye and I was done. Your awake during the procedure, and the doctor is talking to you through each step. You dont feel a thing. I found it really fascinating how my eyes were fixed while I was watching from inside 😆. I actually watched a few videos on LASIK before, so I knew what was going to happened, and was not surprised by anything. The cool part was that I left the building able to see without glasses. Took a long nap, and when I woke up I didn’t feel like anything had ever happened. Your eyes will be dry afterwards for a bit, but thats it. Now I have 20/20 vision for the first time in like 27 years of wearing glasses. I had the procedure at 11:30am, and drove myself to the follow up at 8:30am the next day. Totally worth it, and I would recommend Travers LASIK to anyone.